Wow, has the heat arrived. And it’s unwelcome cousin, humidity. We had quite a storm the other night, complete with copious amounts of rain, so our gardens are happy. I actually harvested a few radishes already. That made my daughter happy. And we turned on the air conditioning last night. That made us all happy. Growing up, we drank plenty of Kool-Aid, Crystal Light and that fluorescent pink lemonade made from frozen concentrate. In fact, until we had kids I would often buy them, along with frozen limeade concentrate. But once The Littles came along, I became more concerned about things like artificial flavours, colours and sweeteners. So I began looking for alternatives that tasted as good, or better. 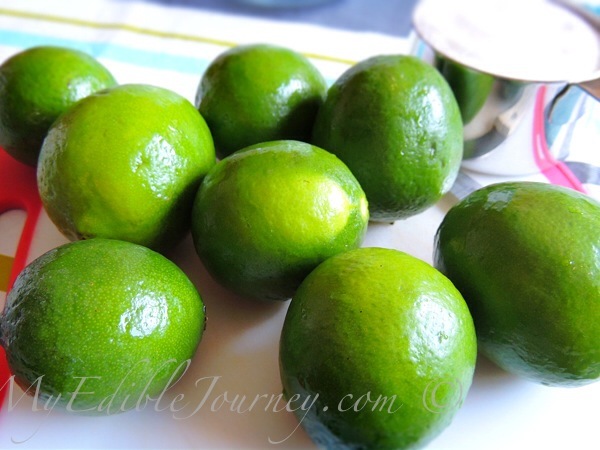 I learned that by removing the zest from the lemons or limes and letting it sit in the sugar the recipe called for, the oils would be drawn out, adding way more flavour (and a little colour) to the finished beverage. I also learned to never, ever stir or otherwise press on the sugared zest, lest you force some of the bitterness. Yeah, that batch wasn’t good. My husband was more than happy to come home to some cold limeade after a hot day at work yesterday. 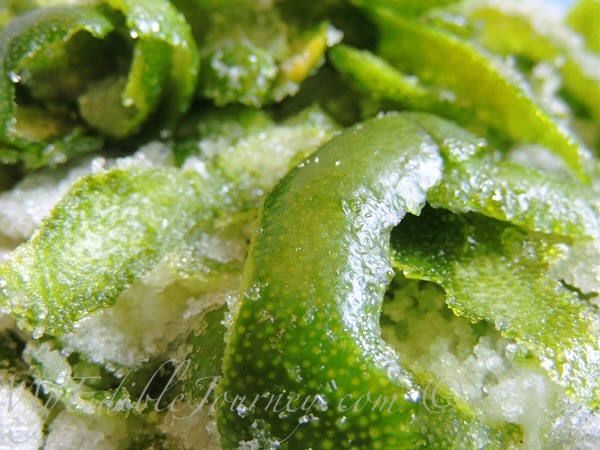 I had an abundance of limes in the fridge for some reason (probably rum related), and was craving something tangy and refreshing. When choosing citrus, try to find those with the smoothest skin. They have more juice. Peel the zest from the limes, avoiding as much of the bitter white pith just below as possible. Toss it gently with the sugar and salt in a bowl or jug large enough to hold the water as well (yeah, oops, didn’t do that). Leave it alone (I mean it) for an hour. Bring the water to a boil and pour it over the sugared zest, and let it stand for 10-15 minutes (much longer and the bitterness can leach out). Do not stir. Squeeze the juice into a measuring cup. You should get about a cup or so. 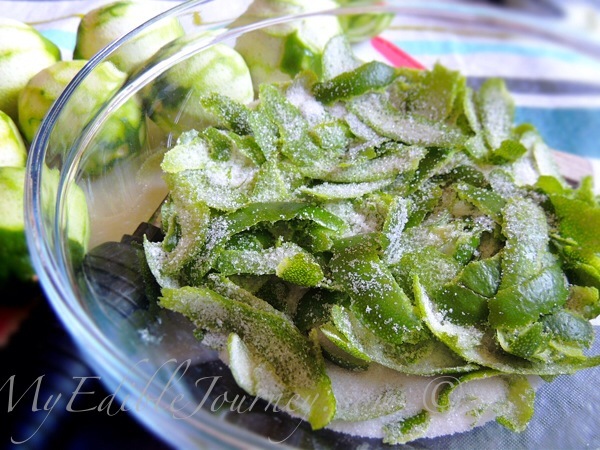 Strain the zest from the sugar water and add the juice. Chill until nice and cold, and top up with soda water. Or rum. Or any other spirit you like. Serve over ice. 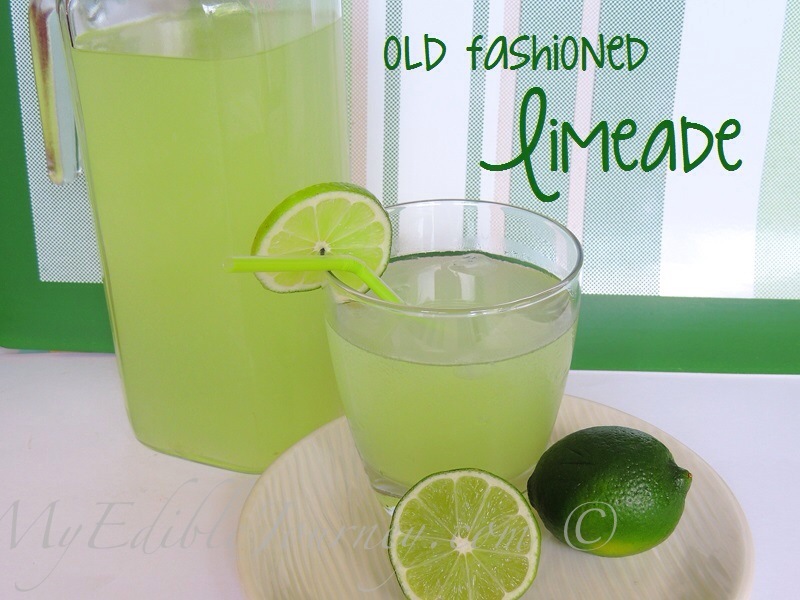 This entry was posted in Beverages, Citrus and tagged beverage, drink, lemon, limeade, old fashioned, zest on May 31, 2013 by Mama B.
I prefer limeade over lemonade, but never have made my own! It looks fantastic! 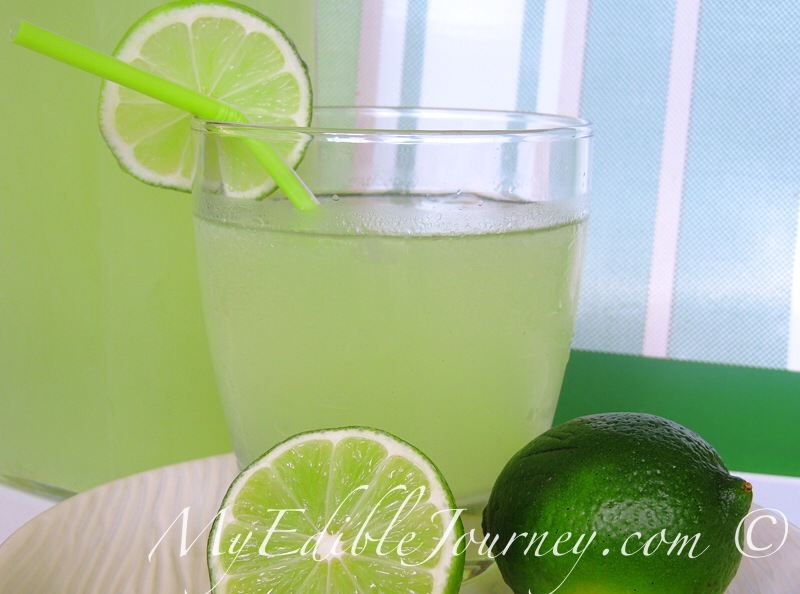 Don’t know if my last post stuck (darn ipad), but you’ve inspired me to make my own limeade! This is so good. My husband is a limeade lover best ever. I’m so glad he liked it. Thanks for letting me know!